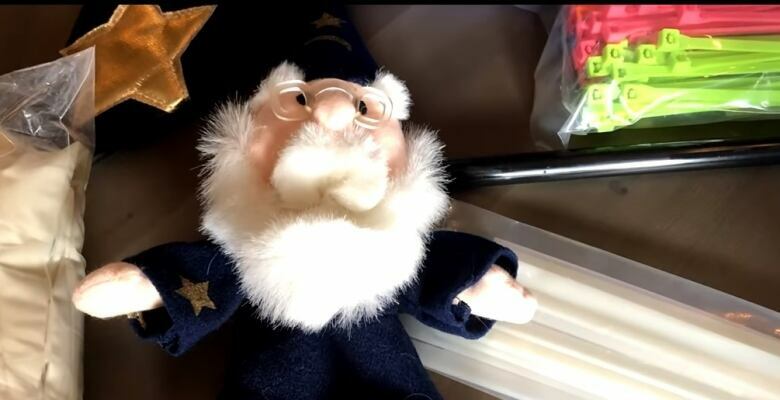 In early October, a father and daughter team from Grand Rapids, Mich. wanted to send a wizard into space. So they used a weather balloon, GPS tracker and a wizard doll and launched it gently into the atmosphere. Two week later it landed in a farm in Dresden, Ont. 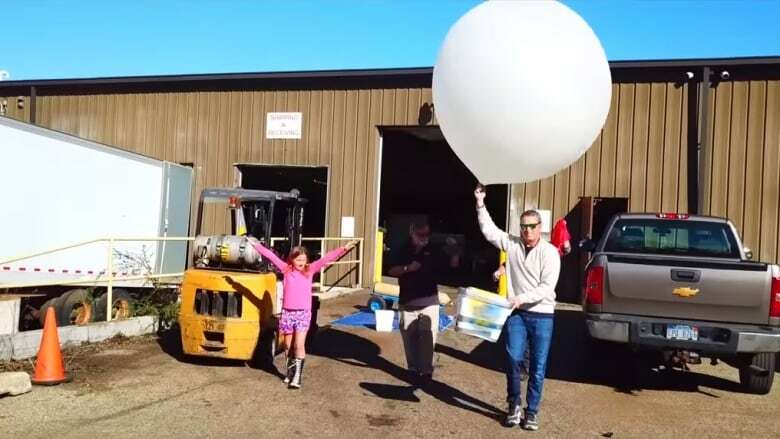 On Oct. 4, father Brian and daughter Britt Stekenee sent off a weather balloon filled with a GPS tracker, GO Pro and a wizard named Wealthy. It took about two weeks for the balloon to travel from Grand Rapids, Mich. to a farm in Dresden, Ont. The balloon and basket landed in Steve Richardson's field. "We were combining beans and I see something sitting in the field and I could tell there was something attached to it," he said. It's somewhat of a normal sight for Richardson to see weather balloons in the field, most often they come from the Weather Network. So he had his son, Landen, pick it up and put it in combine. After they finished the day's chores, father and son took a closer look at the supposed weather balloon. "I realized it wasn't a weather balloon, because after I opened it up, I was checking to see what was inside and there was a GO Pro," Richardson said. It also had a hard drive, GPS tracker, wizard doll and a phone number. He called and spoke to Brian Stekenee. "He kind of told me the whole story on what was what," said Richardson. Stekenee asked if he could take a picture of where they found it, but Richardson did him one better. He re-created it with a video that the Stekenee's incorporated into the one they put on YouTube. Landen Richardson was excited to see what was inside the basket and had a lot of questions for his dad. "He had questions about space and atmosphere and at times I've had to Google the answer," Steve said. "So I guess it's been a learning experience for everybody, for him and for me." Getting answers from his dad wasn't enough for Landen. He decided to take it to his grade three class. His teacher Ann Cowan said it became a learning experience for everyone. "We took pictures so when it was all going back to Britt, we wanted her to have an idea of where it landed," she said. "So we showed her what Dresden Central School looks like." Students also wrote letters and drew pictures for her, sharing what it's like to live in rural Ontario. Then it was time for the students to learn a little bit about Grand Rapids. "We figured out how the far the balloon had travelled," Cowan said. "We went on the website to see their school and Wealthy is her school's name." She gathered everything, including Wealthy the Wizard and sent it all back to the Stekenees. For the time being, the wizard is resting up before the family attempts another adventure.